More than 500 companies relocated, opened new offices or expanded in downtowns nationally from 2010 to 2015, according to a study by Smart Growth America and Cushman & Wakefield. If Bill Gates and Paul Allen were moving their new Microsoft here today, it’s doubtful they would locate in far suburban Redmond. To attract the most talented millennials, and even empty-nest boomers and Gen Xers, they would need the dynamism and connectedness of downtown Seattle or one of the other urban centers or boutique cores (think Kirkland) in the Puget Sound region. These coveted employees want quality density, abundant public transit, urban amenities and walkable neighborhoods. They want the “cool factor“ and authenticity. Increasingly, so do their employers. After more than half a century of moving out of cities, companies are coming back. More than 500 relocated, opened new offices or expanded in downtowns nationally from 2010 to 2015, according to a study by Smart Growth America and Cushman & Wakefield, the real-estate services firm. Cities have also become the biggest magnets for venture capital, according to a report from the Martin Prosperity Institute at the University of Toronto. The shift is obvious in Seattle, not least with Amazon’s headquarters jump-starting an innovation district in formerly slumbering South Lake Union. CEO Jeff Bezos wanted a central-city campus not only for the density and creative energy it offered, but also because it was more environmentally friendly than the old auto-dependent, isolated office park. 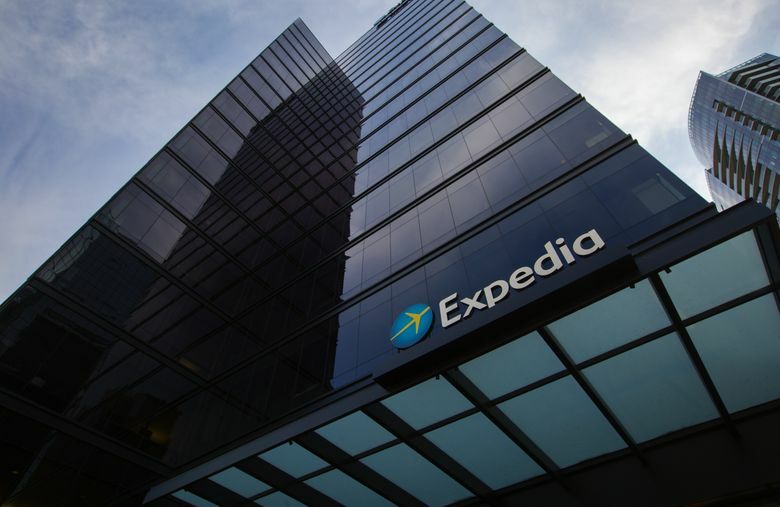 A host of other companies have been choosing to locate or expand in Seattle’s urban core in recent years, including Weyerhaeuser, Expedia, Oracle, Zillow and Google. Downtown’s office market and competitiveness with the suburbs is the healthiest it has been in years. 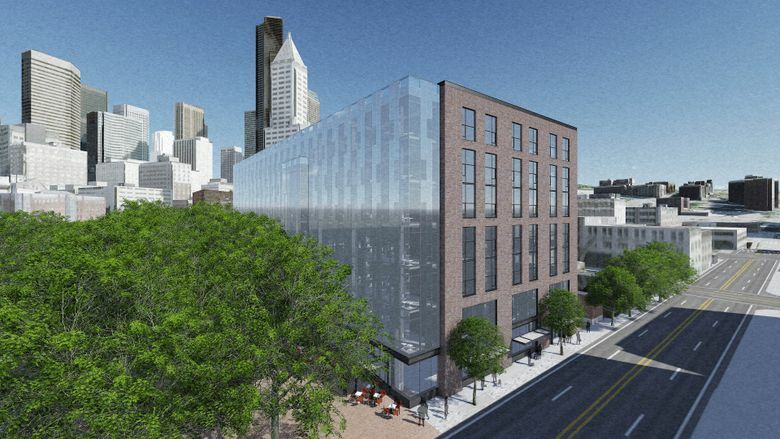 Last month, the big logistics and distribution firm Saltchuk Resources, currently domiciled on the east shore of Lake Union, said it would lease more than half of a $93 million tower being developed in Pioneer Square. 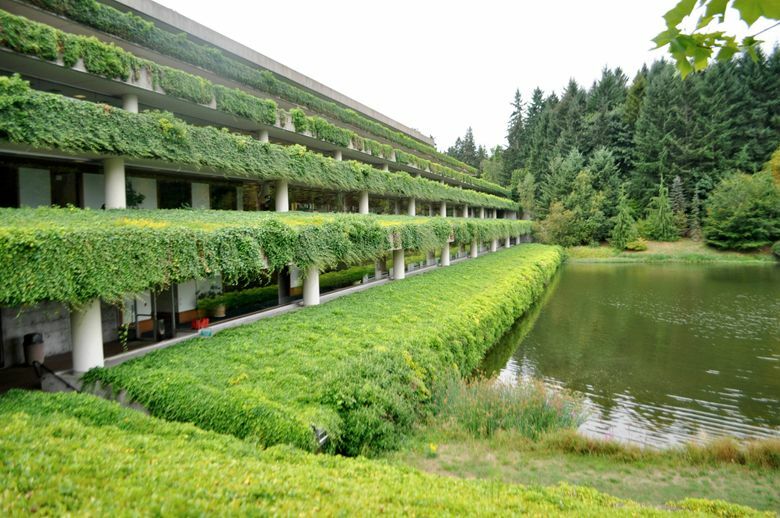 Weyerhaeuser is also moving to the historic district from a lush and sprawling but isolated complex in suburban Federal Way. And this past week, REI said it would relocate its headquarters from Kent to Bellevue’s new, emphatically urban Spring District, which is being developed by Wright Runstad (whose headquarters is in downtown Seattle). The Spring District will have a light-rail station in a few years. This remarkable turnaround in American tastes also forces us to re-evaluate the prophesy that technology would allow people to work from anywhere, that offices might even become obsolete. Thanks to tech advances, employees are more tethered to work than ever; escape is nearly impossible for many of us, whether or not we are in the office, or where the office is. Temp and contract workers have risen with the so-called gig economy. Automation is increasing. In many cases, cubicle farms have been replaced by open working environments for employees or co-working spaces for entrepreneurs and contractors. But these trends haven’t yet eliminated demand for offices, especially in the most desirable places. Combined with the return to the city, they add another headwind facing many old-style “ghost” suburban office parks. In the case of companies such as General Electric, which said this year it would leave its longtime suburban Connecticut home for central Boston, hard financial calculus is involved. Location confers its own unique value. Not least is “creative friction,” where people can share ideas, argue concepts and find inspiration. City triumphalism should be tempered. For one thing, America has enormous sunk costs from decades of highly subsidized sprawl. With suburbia accounting for most of the building since World War II and many people priced out of city centers, it’s not surprising that suburban growth is resuming. Plenty of Americans like suburbia. Also, not all suburbs are alike. Those that offer interesting mixed-use cores and vibrant neighborhoods will prosper. Nor are all cities sharing in the rebalancing. In addition to the usual blessed cohort, such as Boston, San Francisco and Seattle, some surprising places are enjoying downtown revivals. Among these are Cincinnati, Cleveland and even Detroit. Yet those that tore down their authentic bones and lost most economic assets to the suburbs, such as Phoenix, continue to lag. Many people in Seattle blame back-to-the-city growth for all our discontents, including rising homelessness and inequality. I think this is misplaced; the causes are elsewhere, including national and local policies. Also, more than a few politicians have a — how to phrase it? — casual attitude toward public safety and street civility. This is a privilege available only to people in the bubble of one of the nation’s most successful and prosperous cities. As I’ve written before, every place wants the assets we have. The most dangerous rivals are those with healthy urban hearts.